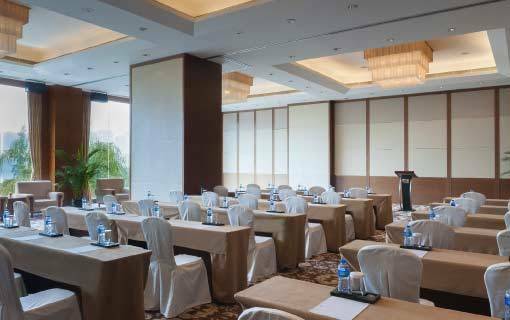 Marco Polo Xiamen is home to a selection of function rooms which spell the latest in versatility and design. 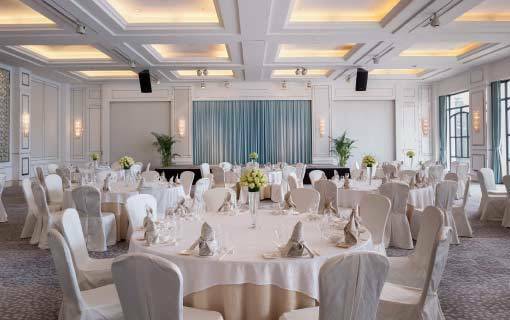 Comprising The Marco Polo Ballroom and Silk Rooms 1 to 10, each function room has various features. Marco Polo Xiamen Creates the City's Longest Napoleon Cake 2016. 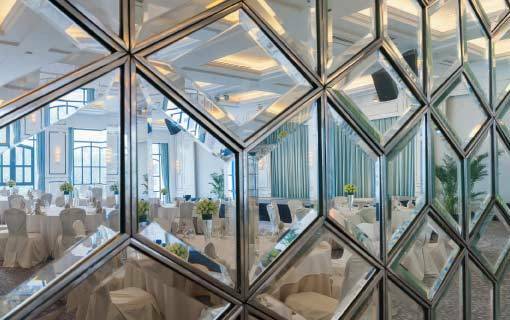 The Marco Polo Ballroom is sprawling at 425 sq m with 4.5 m height, featuring a wall of natural light and able to accommodate up to 300 guests. 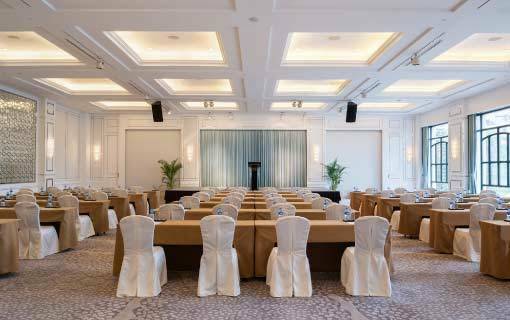 The modern Ballroom equipped with state-of-the-art facilities and Wi-Fi. It is the best place for holding conferences, Chinese/Western banquet and fashion party. With dimensions of 1076 sq.ft/100 sq.mts, the Silk Room I can accommodate 70 guests (Banquet style), 48 (classroom style) and 120 (theatre style). With dimensions of 1001 sq.ft/93 sq.mts, the Silk Room 2 can accommodate 70 guests (Banquet style), 48 (classroom style) and 120 (theatre style). With dimensions of 1162 sq.ft/108 sq.mts, the Silk Room 3 can accommodate 70 guests (Banquet style), 48 (classroom style) and 120 (theatre style). With dimensions of 560 sq.ft/52 sq.mts, the Silk Room 5 can accommodate 40 guests (Banquet style), 27 (classroom style) and 40 (theatre style). Measuring 430 sq.ft/40 sq.mts in size, the Silk Room 6 can accommodate 20 guests (Banquet style), 24 (classroom style) and 40 (theatre style). Measuring527 sq.ft/49 sq.mts in size, the Silk Room 7 can accommodate 30 guests (Banquet style), 30 (classroom style) and 48 (theatre style). Measuring1044 sq.ft/97 sq.mts in size, the Silk Room 8 can accommodate 60 guests (Banquet style), 42 (classroom style) and 100 (theatre style). Measuring1076 sq.ft/100 sq.mts in size, the Silk Room 9 can accommodate 60 guests (Banquet style), 42 (classroom style) and 100 (theatre style). Measuring1055 sq.ft/98 sq.mts in size, the Silk Room 10 can accommodate 60 guests (Banquet style), 42 (classroom style) and 100 (theatre style).